Episode 235: Summer of Spouses, Michael Dorris | Book Fight! We’re continuing our Summer of Spouses, in which we read work by the less-famous halves of literary couples. 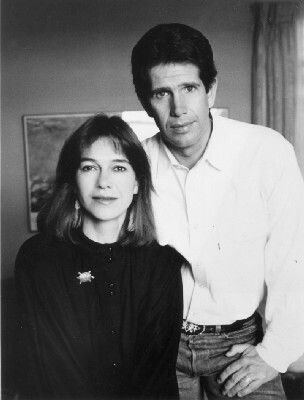 This week it’s a couple stories by Michael Dorris, who was married to the writer Louise Erdrich. He had some pretty big successes of his own, including a nonfiction book called The Broken Cord, which is credited with raising awareness around fetal alcohol syndrome. He and Erdrich were, for a time, also quite the literary power couple, working together on some projects and editing each others’ work. Then Dorris’s life took a very dark turn. Here’s a link to a lengthy Minneapolis Star-Tribune story about Dorris’s life. In the second half of the show, we talk about some of their happier days–or at least they seemed happy from the outside–when the two regularly helped each other with their writing and referred to each other as “indispensable.” Also: a follow-up on Tom’s previous use of the term “horse bath,” and the various regional colloquialisms people use for quick washes in the sink. Categories: Episodes, Summer of Spouses | Tags: Barrelhouse magazine, book podcast, louise erdrich husband, michael dorris louise erdrich, podcasts about contemporary literature, why this day workshop advice, writer couples, writer marriages | Permalink.